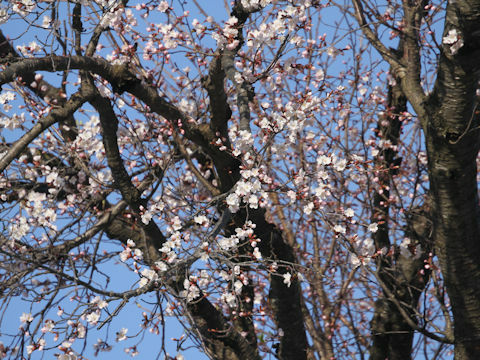 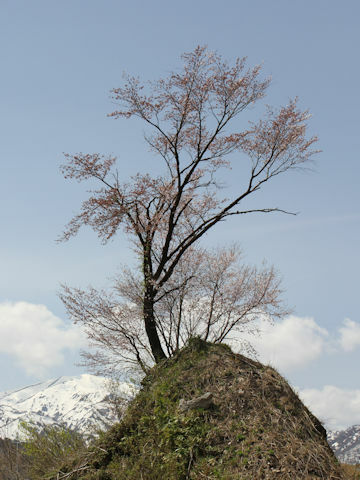 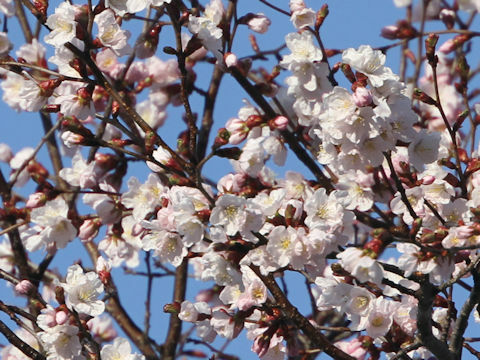 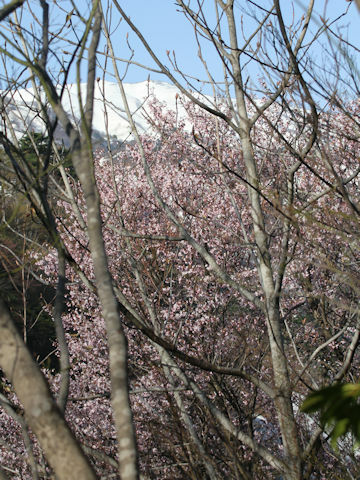 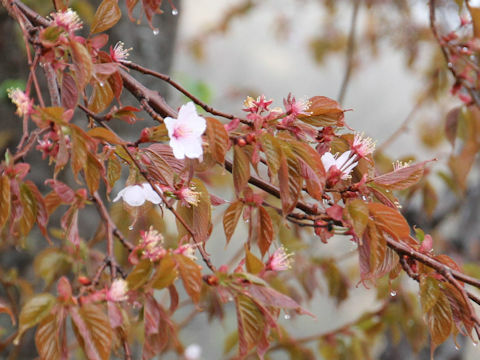 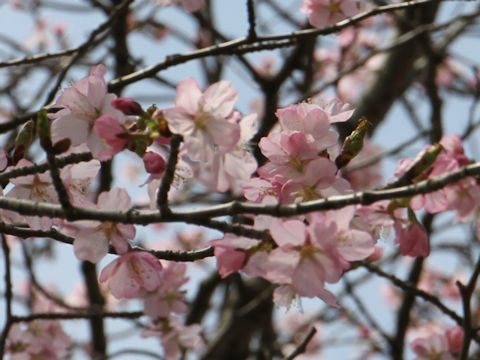 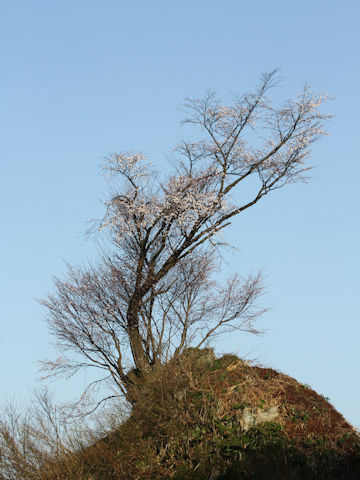 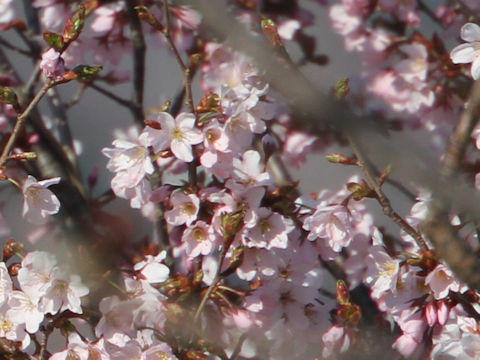 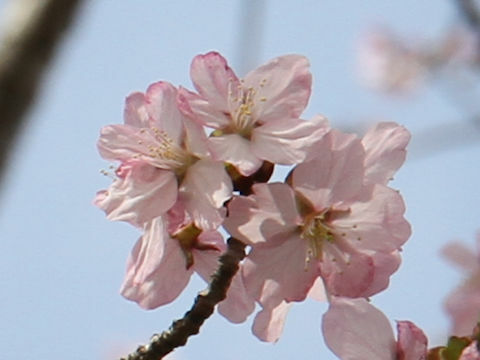 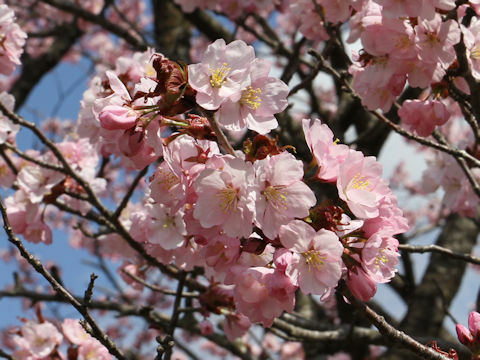 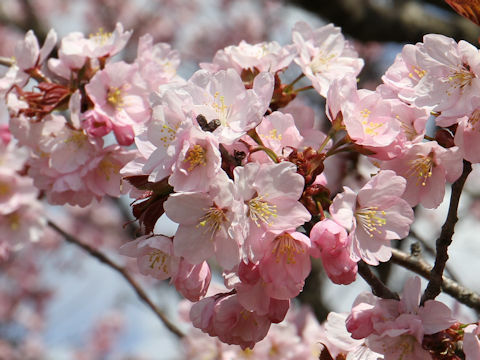 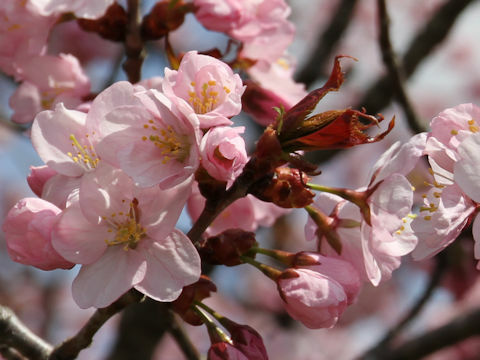 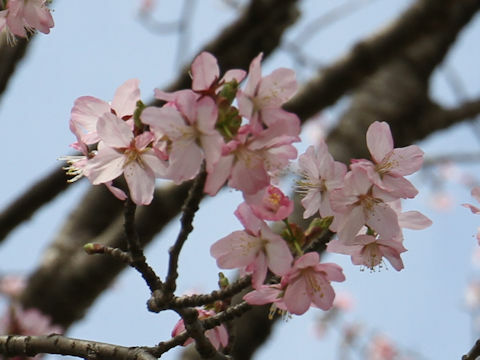 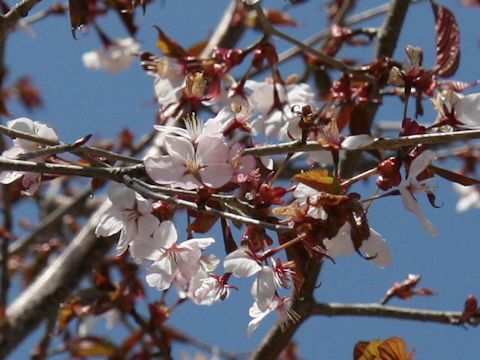 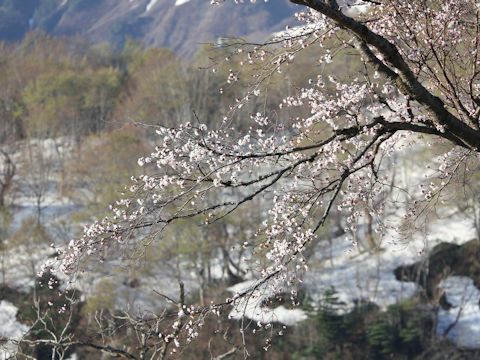 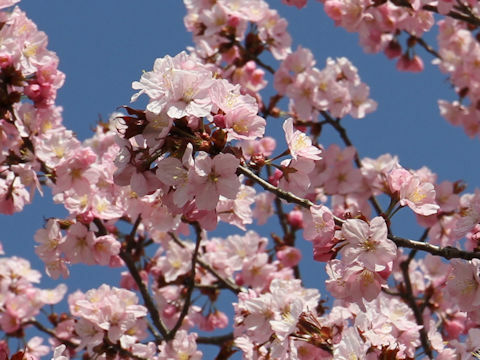 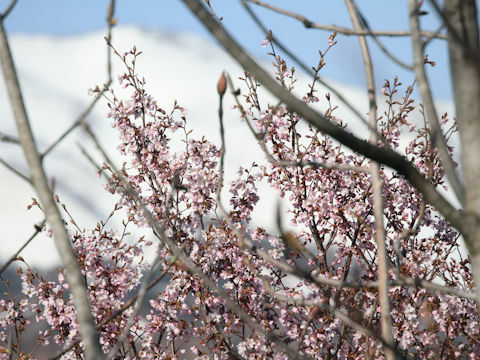 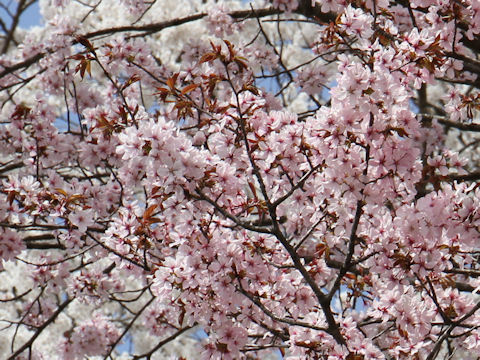 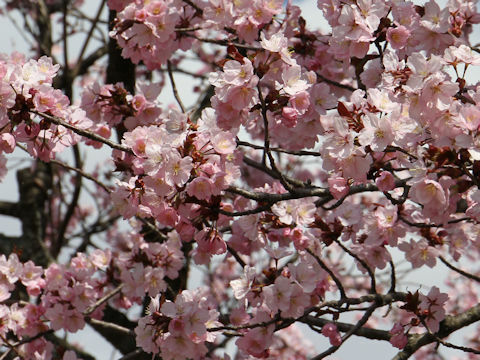 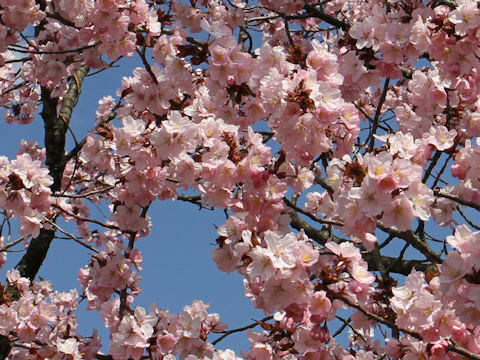 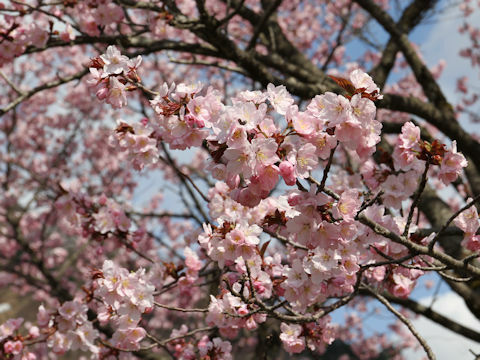 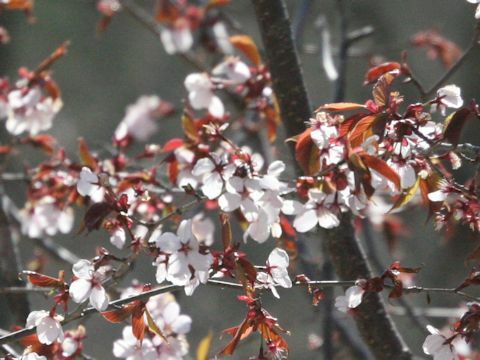 "Ooyama-zakura" (Prunus sargentii) belongs to the Rosaceae (the Rose family). 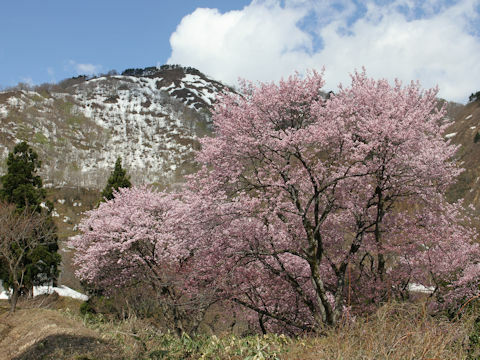 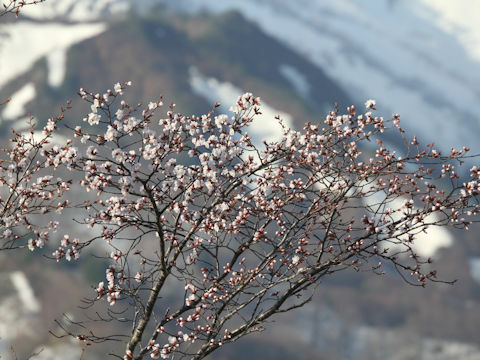 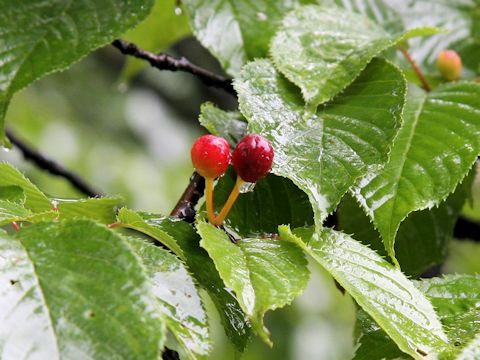 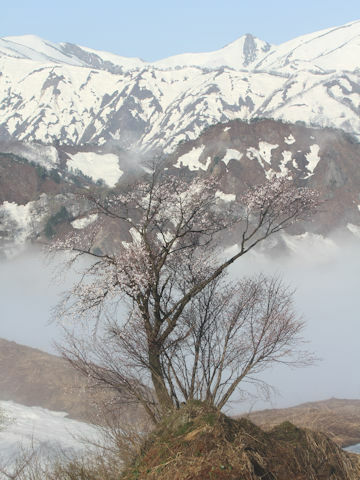 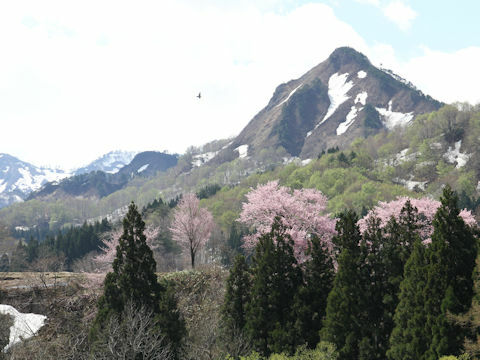 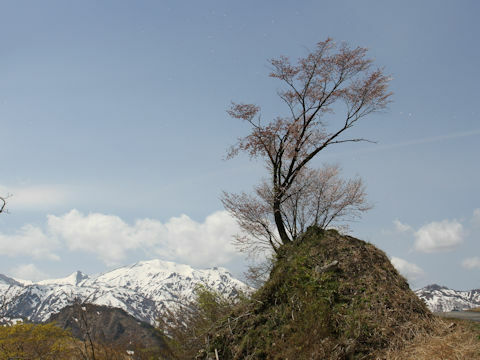 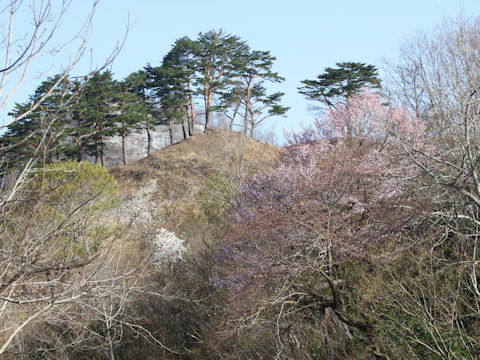 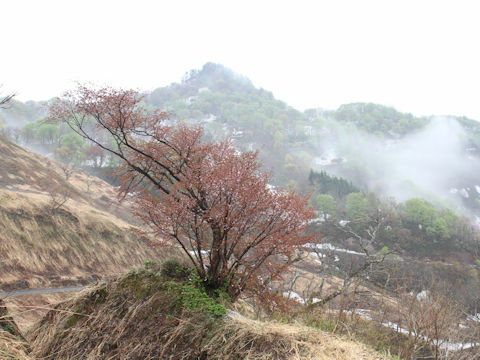 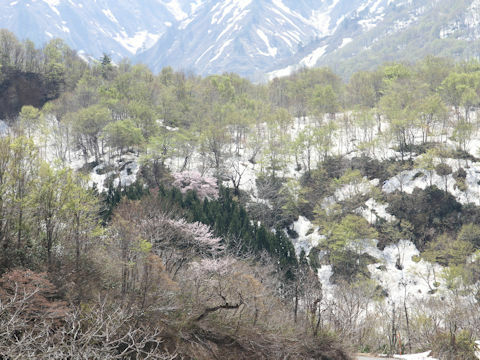 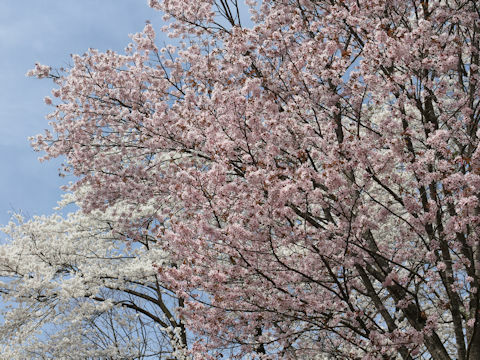 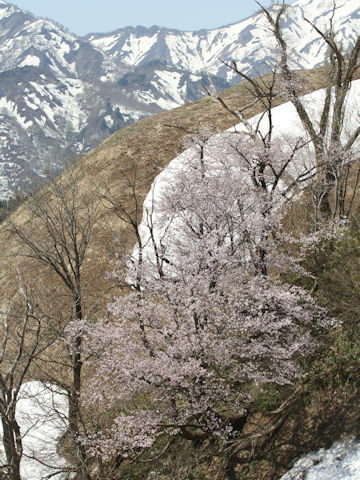 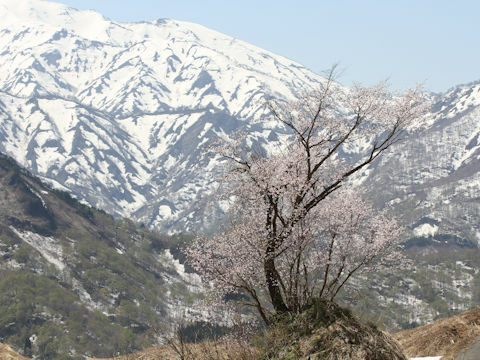 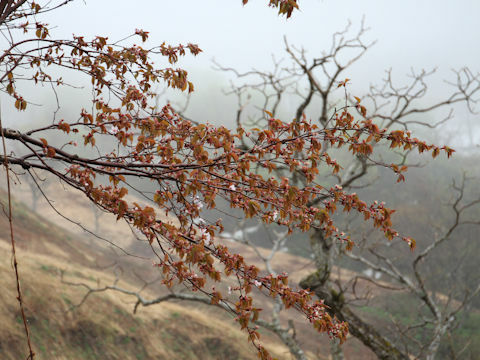 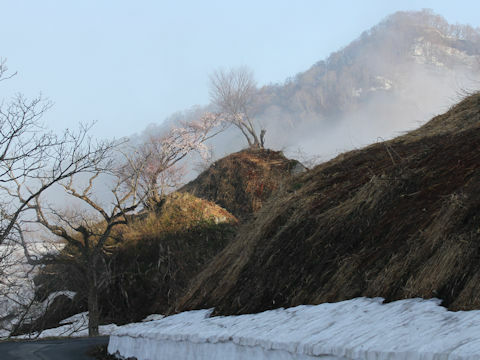 It is a tall deciduous tree that is distributed northward from Chubu district of Honshu to Hokkaido, as well as the southern Kril Islands, Sakhalin and the Korean Peninsula. 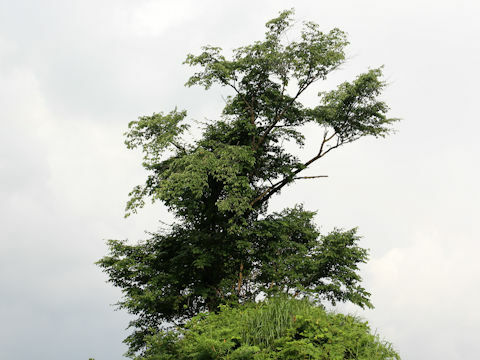 This tree grows in mountain sparse forests or Forest edges and can reach 10-15 m in height. 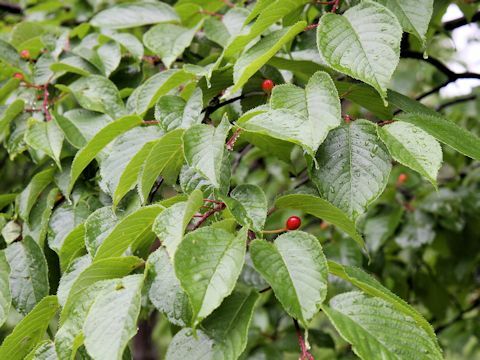 The leaves are elliptic to obovate-elliptic with cuneatic tips, coarsely toothed edges and mixed double-serrated margins. 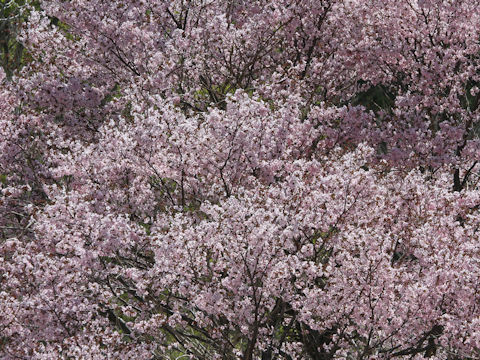 The rose pink to pale rose pink flowers bloom with new leaves from April to May. 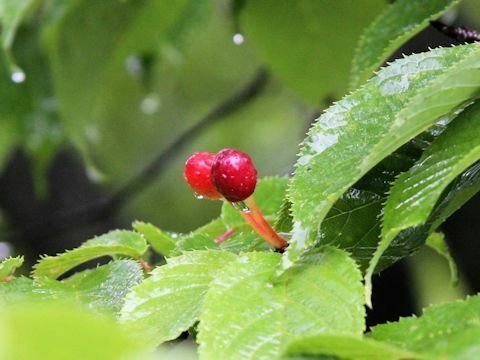 The fruits are drupes and ripen blackish purple from May to June.